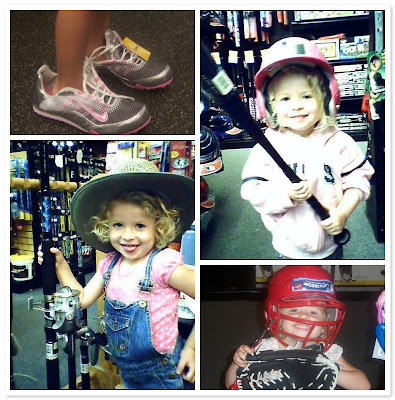 Jack & Jolie's favorite date night is a trip to Sports Authority. The two of them will spend entire evenings there, testing out equipment and talking big plans for when she's older. All I ask is that he snaps pictures on his cell phone - These are a few of my favorites from the past year.